Some people look at a color wheel and think, "Well there are more than those colors in my quilt shop. How am I supposed to use the color wheel to make a quilt?" 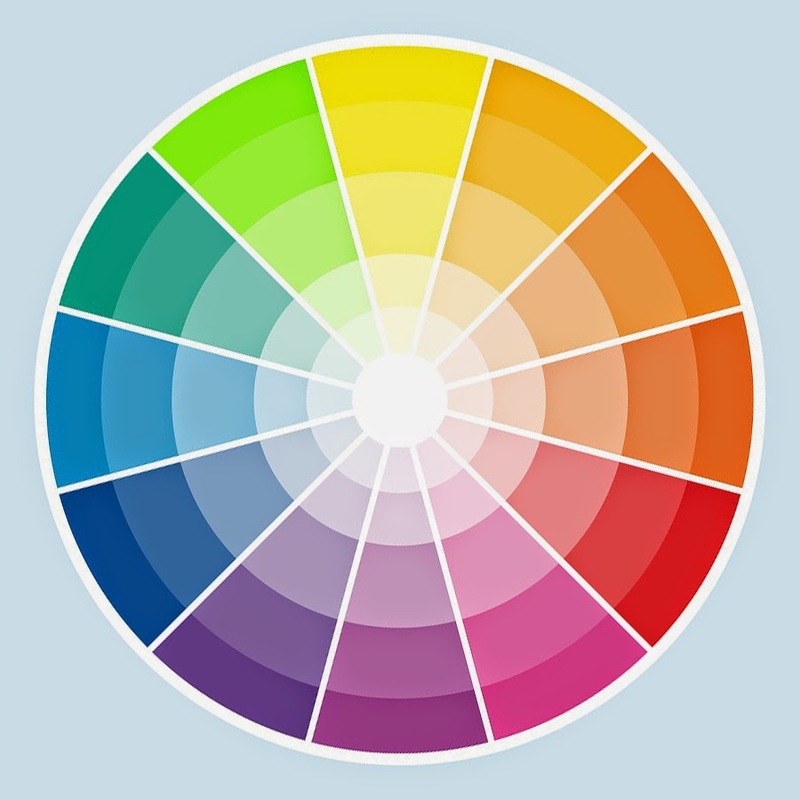 The color wheel can be a great place to start if you aren't sure of even a basic color scheme. You can decide hues later one. The color wheel above is the one we are all familiar with. We've seen it hundreds of times over the years. 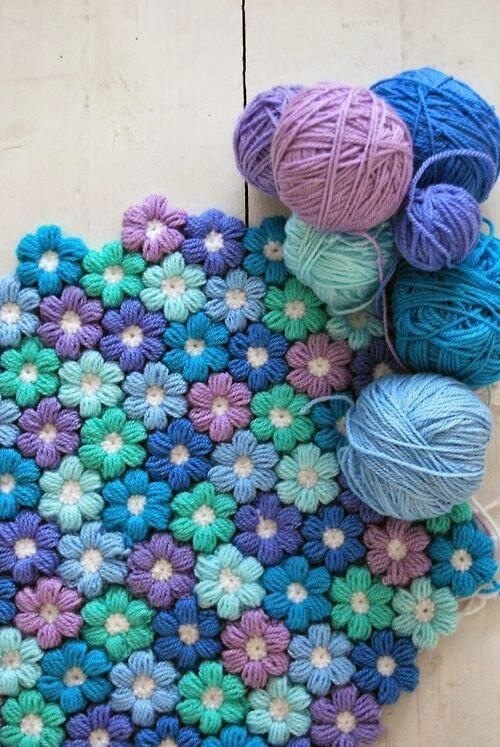 You know that the color directly across are complimentary colors and they look good together. 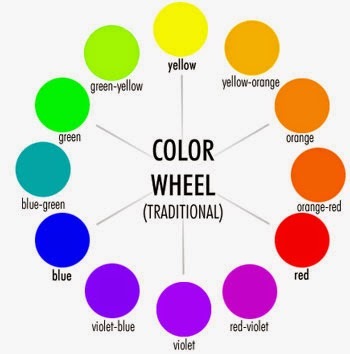 The thing with this color wheel it doesn't take in to account all the other colors we get in the fabric shop. I prefer this one. I like seeing the shades as this is more like what I'm dealing with when I go into the store to buy fabric. But how do you use one of these? Very much like the traditional one but you have more choices in values. One thing people seem to get stuck on is the fact we've all been told you must you complimentary colors. That's a lie. You don't. There's other color combinations out there and those are my favorites. These are my favorite. They are striking and they aren't what people first think. To use a triad pick a color on the color wheel, then count three over that's your other color. The only exception is primary colors. Don't pick straight red, blue, or yellow they won't work with triads. Notice how the purple works but is slightly shocking with the greens? These are three colors that touch each other. Pick a wedge and then one on each side of it. These tend to be less shocking and have a smoothness about the flow of colors. And who is the biggest breaker of color rules? Mother nature herself, she breaks all kinds of rules and we love it. If all else fails look at flowers, look at birds, see what speaks to you and go with that color scheme. No one looks at flowers and goes "Well according to the color wheel those don't go together." Lastly, if you are still stuck for a color scheme find yourself a small fabric store. One that's locally owned and go in and talk to them. 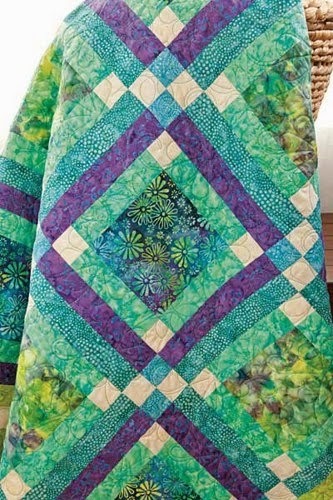 They know their stuff because they are quilters as well. Plus, they love to help, they want you to keep up the art of quilting. They'll spend as much time as they need to to get you the fabrics you'll be happy with.